For many crisp connoisseurs, KP Hula Hoops Original are the finest potato-based snack of them all. This 6 pack is great for keeping lunchboxes interesting, as well being an essential item for munching on those much-loved family car journeys. 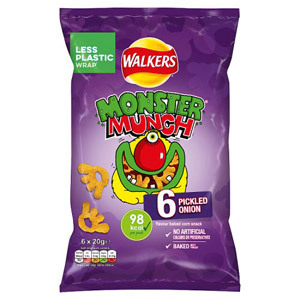 With no artificial flavours or colours, and no MSG, they are made with 100% sunflower oil. 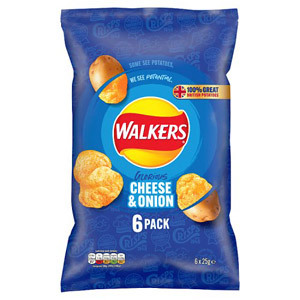 Best of all, KP has also significantly reduced the amount of saturated fat in these classic crisps to create a delicious guilt-free snack. Most popular with customers in United States of America (USA), France, Italy, Germany, Austria, Canada, BFPO, Australia and Denmark, but you can buy KP Hula Hoops Original 6 Pack for delivery worldwide. One of our Kp branded products. May Contain Cereals Containing Gluten, May Contain Milk. Potato (Potato Starch & Dried Potato), Sunflower Oil (24%), Rice Flour, Maize Flour, Salt, Potassium Chloride. Free From Artificial Colours, Free From Artificial Flavours, Free From MSG (Glutamate). I decided to try these out when I was placing my Christmas candy order because my family loves potato chips. I thought these were really interesting and a fun snack that was different from the typical chips we have in the United States. If I had to compare these to a chip in the US, I would say the taste is very similar to Munchos and they are just as crispy. They are less salty and maybe a little more bland, but still have a great simple flavor. If I have room in my next shipment, I'll probably add a small pack to the order just to have as an interesting treat when guests come over. 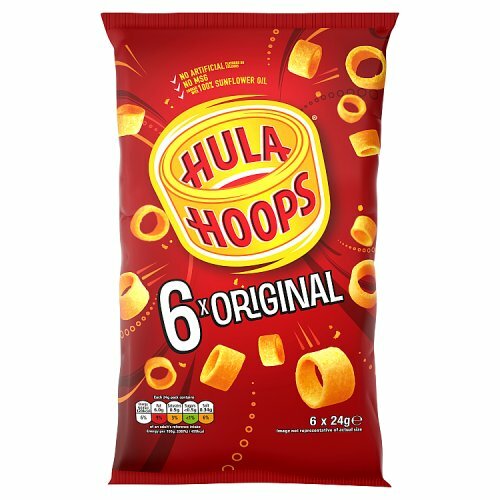 KP Hula Hoops Original 7 Pack proved be a great addition to the larder. 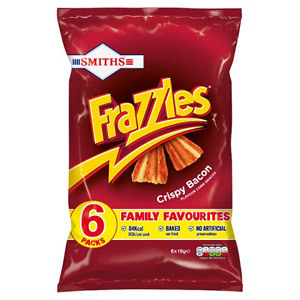 They are very flavoursome and have a wonderful crunchy texture - they are more solid in consistency than crisps, something I find pleasing. The fact that they do not contain artificial flavours, colour or MSG is very reassuring. KP Hula Hoops Original are a tasty treat that can be enjoyed most times of day. I love the simplicity of them and the fact they are a bit different. 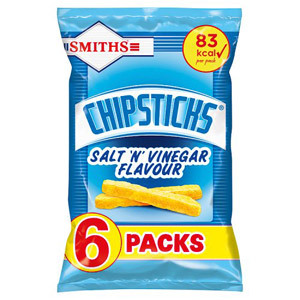 There are a number of ways to eat this particularly strong crisp. The reason I say strong crisp is because if you put one on its side you can actually balance heavy things on them, even a house brick. Try it, but don't waste too many! I simply like to pop open the bags and eat as many as possible in one go! These were pretty dull to say the least. Maybe they have better taste with their other flavours, but the original were less than crave worthy. There was excellent crunch, but the texture was a little dense and strange. Not a very light feeling snack. Maybe worth trying a more interesting flavour. Would you like to write a review for KP Hula Hoops Original 6 Pack?